KBS Commerce & NATARAJ Professional Sciences College, Vapi has established a Women Empowerment Cell in the college campus to empower girl students, to sensitize all issues related to women (students and faculties both) and to make the college campus a safe place for women students and faculty members. With a view to taking up women’s issues and problems, the cell aims at creating awareness of their rights and duties. Aiming at intellectual and social up liftmen of the female students, the cell stands for facilitating women’s empowerment through guest lectures, seminars, awareness programs and other welfare activities. A Session by women achievers of different fields to motivate the girl students of KEC. A session with gynecologist on health issues. 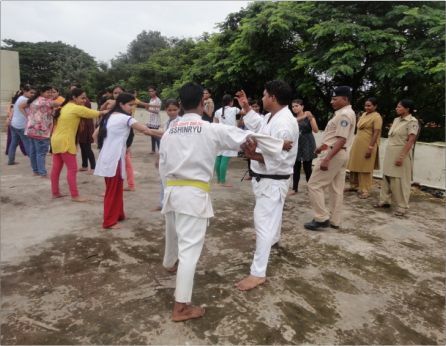 Workshop on Self-Defense for Women. A mail ID to be generated regarding eve teasing, problem arising in campus and hostels. Provision of girl’s common room. The seminar explained about the importance and need of menstruation cycle in a women’s life. Different issues related to the body of women were discussed openly. A beautiful video of how exactly the fusion of gametes takes place was explained. Importance of reproduction in human life was explained in detail. 2. 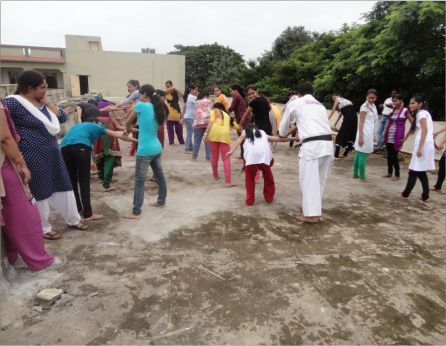 Seminar on “Girls Awareness & Self Defense Tips ” was organized by K.B.S college, Vapi was leaded by “Udaan-Utkarsh Mahila Foundation”. Remya Mohan IAS, Valsad delivered informative message regarding individual rights & reminded of our moral duties towards nation. Self-defense not only allows these students to defend themselves against physical attack.